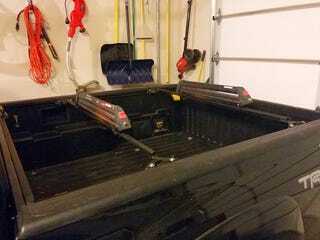 Finally got my ski racks mounted. I designed the crossbar mount so they could be bolted to the bed cleats. My buddy that has a welder and materials fabbed the parts and welded them for me.